Harry is a 2.5 year old recently neutered male piggy. 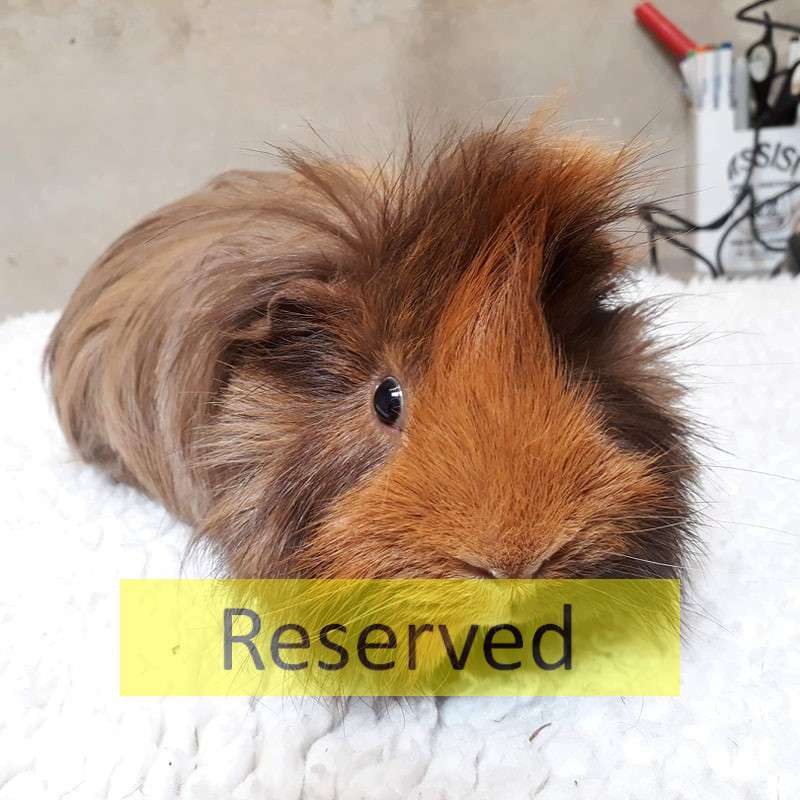 He was paired with a Guinea companion, but unfortunately his friend passed away resulting in Harry coming to us in the sanctuary. Harry is now looking for another piggy to settle in with. He has a wonderful brown coat with a splodge of orange on his face. Harry is quite comfortable with being handled and doesn’t mind a pet. He loves his tasty greens, and other vegetables such as peppers, celery etc. If a family with a female piggy want Harry in their lives, Harry will have to complete his neuter wait before bring mixed with a female. If you think you could offer Harry a lovely home with a companion, please call up to the sanctuary, speak to the staff and fill out an application form! !